More and more of us are living in environments where we are surrounded by technology and electrical frequencies. Whether or not you subscribe to the wifi signals and technology, they are still zipping through our homes, cars, and work environments. We are exposed to many layers of noise and frequencies not seen by the naked eye. We run our lives, homes, and appliances on these invisible frequencies. We can be affected mentally and emotionally when we don’t create some balance for ourselves. The solution can be as simple as turning off some of our technologies and going out in nature. Just taking a break from the screens and the buzzing. It can give your eyes a chance to rest and even serve as a respite from the emotions stirred up by conversations. Did you know that going outside barefoot for a few minutes can benefit your health? Research suggests that electrons from the earth have antioxidant effects. When you are barefoot and walk directly on the earth, the earth’s electrons are conducted through your body. Many people refer to this as earthing and grounding. Some evidence has shown a direct link between earthing and a reduction in heart rates, inflammation, cortisol levels, and overall stress. . I know I can easily lose sight of how much I use my smartphone for scheduling clients, asking questions, communicating with friends and family, and even writing and posting blogs. Though my writing is therapy, I still have to utilize technology in order to engage in it. I have learned I have to take breaks from these things. I’ve met some people who are very sensitive to this electronic field and who become sick due to overexposure. Which leads me to question whether or not we are all at risk of overexposure to the technologies that now play such a huge role in our everyday lives. We don’t all have to study research and science to notice how we feel when we disconnect from technology and take the time to enjoy nature. Every small step we can do to help us feel better each day aids in our overall health. And for the days we may not have ample amounts of time for a hike or doing something fun in nature, we can do little things like going outside and taking off our shoes for a bit. Taking in some fresh air and tuning into ourselves and our frequencies. It constantly amazes me what a difference a few minutes of these activities can make. Now when you can do a little more, jump on those opportunities as well. It can be a hike, a yoga session, a day at the lake, a relaxing massage, or simply a cup of tea. Carve out some time to deflect these bombarding frequencies and energies. When I was growing up, I often played outside and spent quite a bit of time in nature. It sure helped my immune system, my mentality, and my balance in life. Now being “plugged in” seems to be the new normal and we have to remind ourselves about the health benefits of being in nature. I know many of us in the health fields talk about the importance of balance. Initially that may feel too big to accomplish regularly, so it can be helpful to acknowledge that many little things in each day can contribute to our health and balance when we run up against time. If you can sign up for a regular class or commit to a regular action that is unplugged and helpful, that is great. I find many people not taking any time to unplug and unwind because they put too big of an expectation on themselves. Start with small, simple, and doable things. As these small moments add up, you can feel the benefits which greatly outweigh doing nothing. At least try to spare yourself five minutes to walk in the grass barefoot. Take a deep breath and relax. 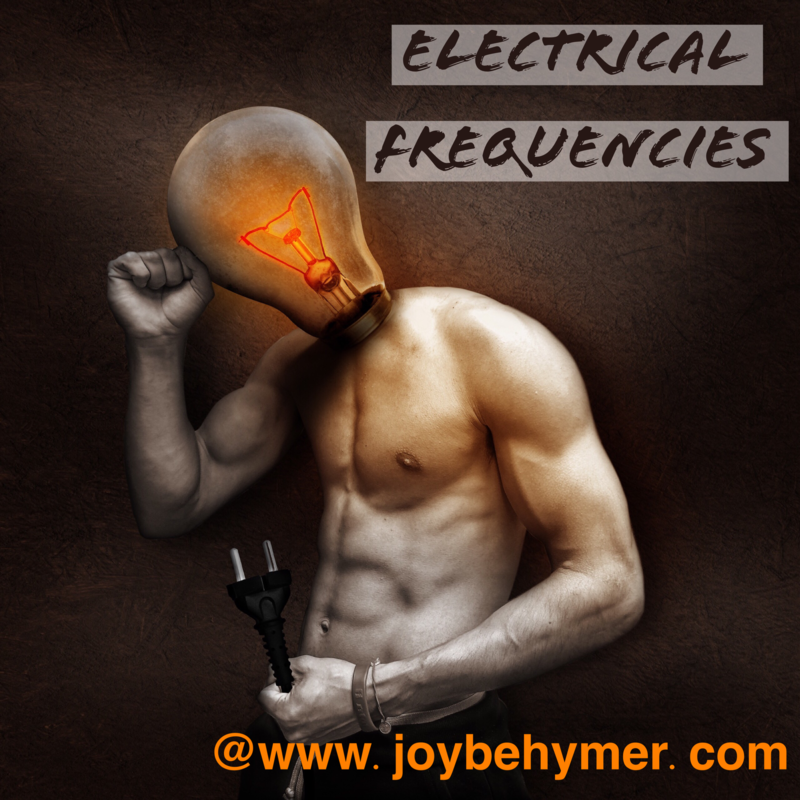 Balance some of these electrical frequencies floating more and more in our spaces. As I reflect on my desire for peace on our planet, I keep coming back to thoughts of our potential power when we unite together. Together in our sovereign rights. Regardless of what race, color, religion, or lifestyles we engage in, we are in so many ways more alike than not. We are living on this earth currently and sharing this planet with billions of people. Together we are inhabiting our mighty earth in our galaxy. When we take our focus away from our squabbles, arguments, and fears, we can see a much bigger picture. I believe in our potential and I believe we have the possibility for peace. However, peace on earth can feel a bit big for our logical minds to understand. How can we achieve this state when we see war, strife, cruelty, and horror in the media? I think this question is currently crossing many of our minds collectively. First, we have so many ways to focus our attention and energy. We are powerful in numbers. The more of us that can practice peace within ourselves and in our everyday lives, the more we can impact our globe in a major way, but we have to be committed to this peace. We can fall short quickly when we allow ourselves to be easily triggered in anger. This can be a challenge when you turn on the TV, radio, and Internet. We are constantly getting reminded of the worst of circumstances, which in turn challenges our place of balance and clarity. If our news media doesn’t want to take responsibility for the energy it airs and spreads, we have to take care of what we allow in and how often. We have the power in our focus, energy, and attention. We have the opportunity to fuel as much good as possible. I believe 20 peaceful people are more powerful than one bully in the room. Remember the loudest person doesn’t have to always get his or her way. We may have bullies. We may be experiencing some negative influences. This doesn’t take away our power. Together, united despite our differences, we can harness the biggest power known to man. When we feel triggered by our emotions, we can take a step back to see where this is coming from. Is your reaction based on personal experiences? Could it be a belief taught to you? Could it be a form of fear? I think once you can give yourself the attention to identify what is upsetting to you, you are better able to work on these triggers. As we each work on finding peace and forgiveness within ourselves, we share that energy in the world. Inner peace may require a little work, but it’s worth asking what kind of world you wish to live in. What kind of world are we creating for our loved ones and children? How can we ask our offspring to act peacefully when we aren’t demonstrating it ourselves? I don’t expect us all to live perfectly, but we can all be working on our inner peace. We are all exuding some type of energy. We can choose whether we want to work on anger or peace. Treating ourselves with love and respect empowers us to give that to others. Treating each other as individuals with the same respect we wish for ourselves is one of the most empowering things we can do for each other and the planet we inhabit. Rather than treating people by the labels they represent, we can remember our humanity and respect our differences. We will all have differences at some point. How do we accomplish this? We do it each and every day by how we treat ourselves and each individual we come into contact with. Whether it be in person, on social media, or through our thoughts, we can radiate better thoughts and emotions towards one another, even when we don’t understand them. It’s hard to understand everyone else when we have only walked in our own shoes. Honoring each other’s paths and feelings can allow some light and peace to enter our interactions. We can meditate, focus, or sit in prayer for peace and positive thoughts. It is a power we can bring into our everyday lives. Not only are we affecting ourselves, but we affect others in the world. There was a study a few years back showing that when a large group of individuals sat in meditation for peace in planned locations, they were able to measure the crime going down 71% in those areas. Imagine how much more we can do together. I hear so many friends, family, and clients express their desires to see more peace and less crime in the world. We can be active participants. 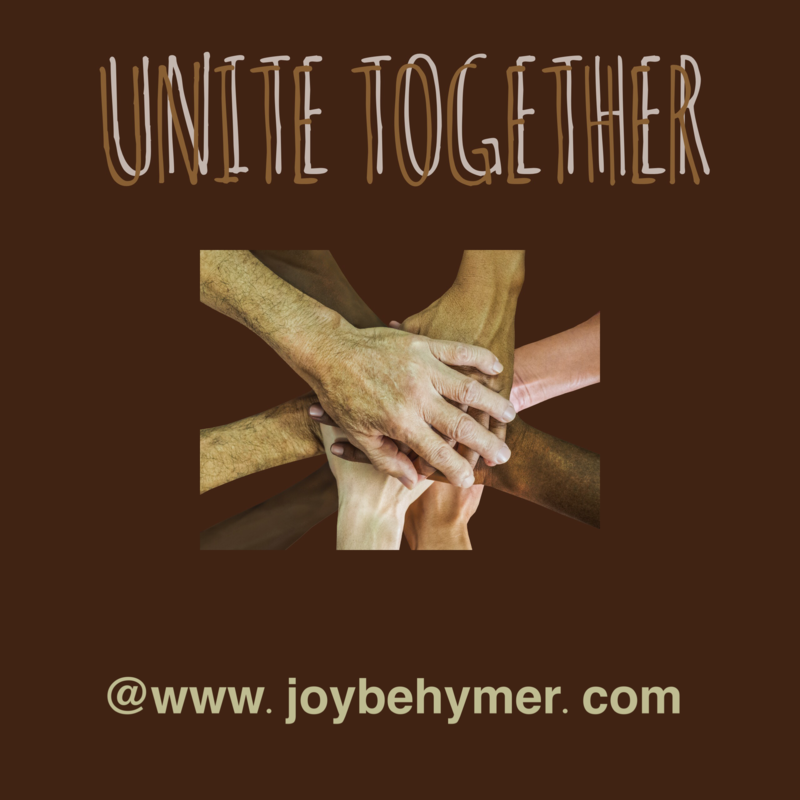 Let’s unite together and demonstrate the peace we wish to see in the world!